This week we are featuring our very first handmade cards. Take a look at these lovely designs and read on to meet the maker. I am LaKisha Jews, Owner & Card marker of Sweetest Handz. I was born and raised in Baltimore, MD. I am married to a very loving, supportive husband and we have 2 children. I currently work full-time but with HOPE that will soon change. But I always manage to sneak in some card making time. This set includes 3 cards that were sold as Thank You cards. Each card was handmade using Studio G which were completely blank. I used some light blue card stock and scrapbooking paper. The rhinestone embellishment and white flower are part of the Recollections line. The smaller flowers were a bargain find. 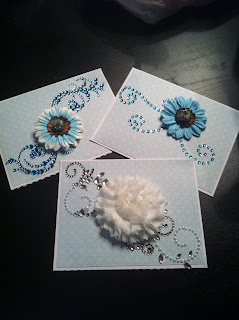 I assembled the flowers to the rhinestone embellishment and created the layout on the card in perfect harmony. The inside of the card is left blank so the customer can express their own thoughts. How long have you been making cards and how did you learn? I started card making in 2009 as a hobby and my love for creativity. Card making was self-taught, I have never taken any classes. When did you start Sweetest Handz and why? Sweetest Handz LLC was started in July 2012. I started this business from the response I received from family and friends. The response was so positive and overwhelming that I started selling handmade cards. I take a lot of my inspirations from other card makers and crafters. When I see other crafters work; my creativity wheel goes into overdrive. My motivations comes from seeing my finish product and the joy & appreciation from my customers. My heroes are all the talented crafters/card makers. My crafting space is located in my basement and it is steadily growing everyday. It is time for me expand my work area. 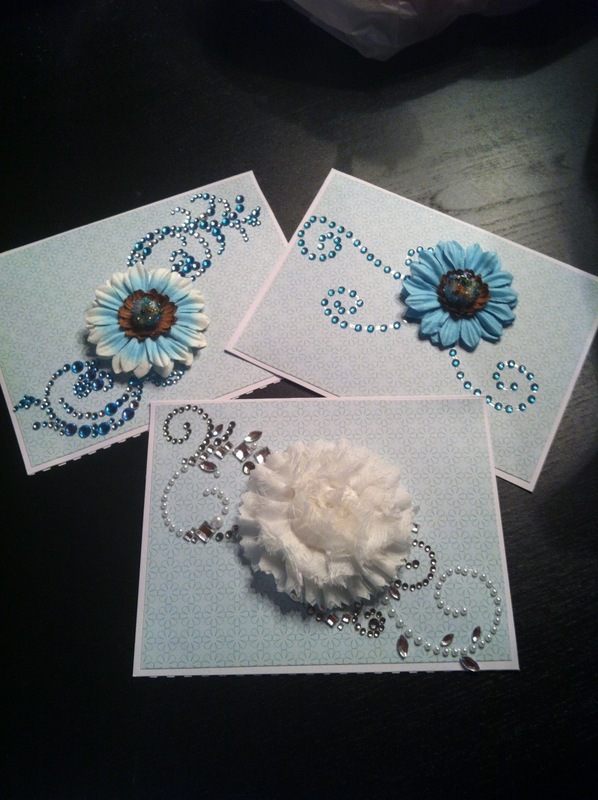 My plans for 2013 is to keep doing what I truly enjoy....card making. I also want to expand to various boutiques & consignment shops. I am keeping my fingers crossed to get into at least one card retail store. I want to take some advance classes to enhance my card making skills and attend some craft expos. I plan on taking some business courses as well. My biggest achievement was turning my hobby into a passion then into a business. I am so proud that I am stepping out and taking chances on this venture. Sounds like you have lots of plans for 2013 Lakisha and I'm sure all readers will join me in wishing you all the best with them. Thanks for sharing! What a GREAT piece. We wish her well!! !